What’s the first thing you think of when going on holiday, especially when you’re going on your honeymoon? Bikinis, suncream, local food, spinning…. Ok, so maybe you’re not quite like me but when I travel I like to sample the fitness scene, mostly to try and make more room for all of the delicious food that I know I’ll be eating. 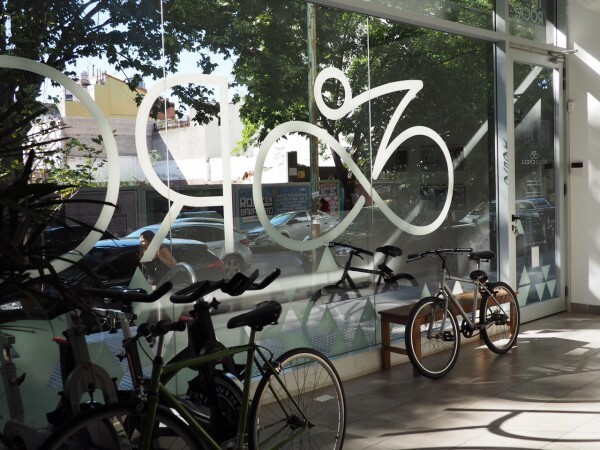 The only spin studio in Buenos Aires I could find (and incidentally, it seemed, the only spin studio in Buenos Aires) was Rock Cycle so I booked in for a class on our second morning in Argentina and hoped for the best. It’s situated in Palermo Hollywood, a delightfully sunny 8 minute walk from where we were staying so off I trotted, leaving long-suffering new-husband in bed. 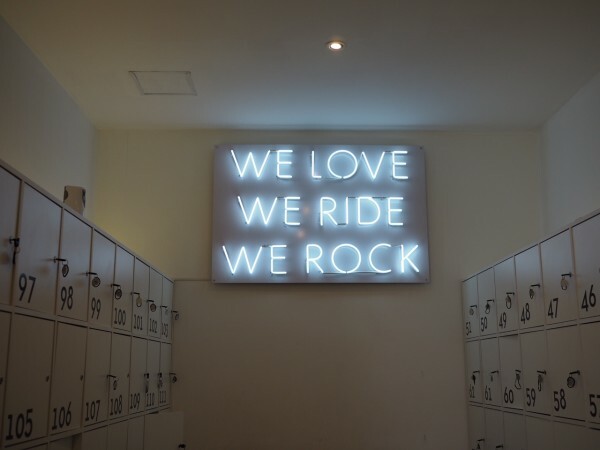 The studio is bright and inviting and very much reminiscent of the Soul Cycle studio I visited in New York. The welcome was friendly and between us we spoke just enough English and Spanish to get me set up. 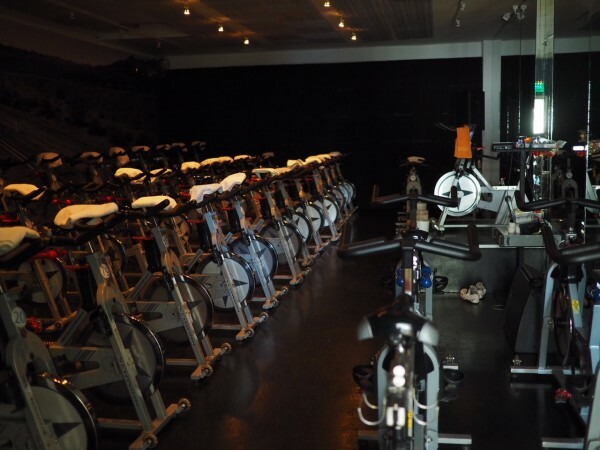 The studio itself was dark with about 40 bikes in, all facing the instructor who was raised up on a stage. Along the front of the stage were candles similar to those you might find in Boom Cycle in London. The facilities were lovely and clean with lockers to live all of your valuables in. They also sell a cool range of clothing and I might have fallen in love with a vest that found its way into my already full suitcase. The instructor spoke no English (nor did I expect her to) but from the moment the lights went down in the studio it didn’t matter. Her energy and demonstrations went through any language barrier and I found myself swept along with the music. 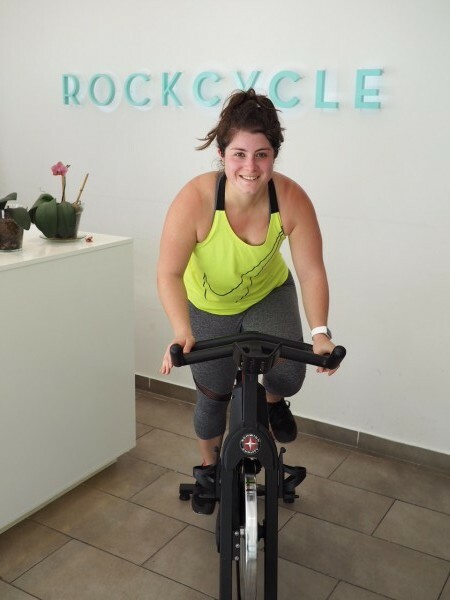 The style of class was very much like Soul Cycle or Psycle in London so there was a lot of moving around on the bike including plenty of press ups which meant my triceps were suitable sore the next day. Over the course of 45 minutes we went through a number of Latin-inspired tracks with banging beats so even though I didn’t know the music the energy was infectious. We did a lot of sprints and double time cycling with only a couple of heavy resistance tracks which was a bit of a shame because I do like to crank the resistance up and let my legs burn in a spin class. The penultimate track was one with hand weights to work out our shoulders, backs, biceps and triceps and a Latin remix of the Pink Panther theme tune did wonders to take my mind off the crazy muscle burn that I had going on. As the class ended there was much whooping and deep breathing going on as we all caught our breath and stretched out. All in all, it was a really good class and if you’re used to spinning studios such as the few that I’ve mentioned above then you won’t have any problems not speaking Spanish as it’s very similar to those. Definitely go and try it if you’re in that part of the world! Thanks for the review! Very helpful as someone looking for fitness classes without knowing Spanish. 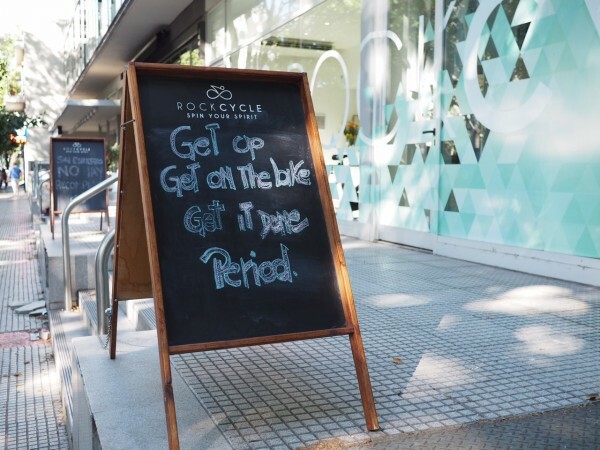 Do you know of any other fitness classes/ studios/ gyms in BA where one could get by without much Spanish?